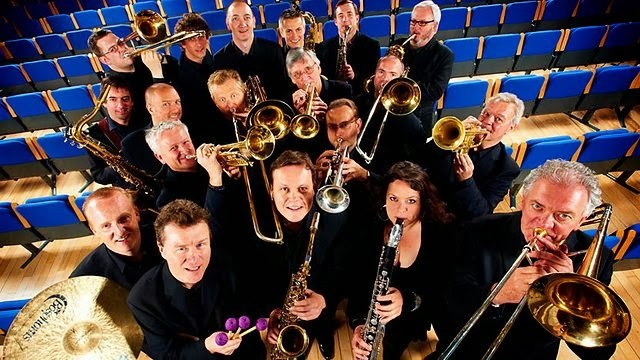 Another long-running programme ended this week with the dropping of Radio 2’s Big Band Special. The decision is purely financial rather than artistic with the station stating it has had to “make some difficult choices in terms of which content we prioritise for investment”. When challenged on the detail of the cuts they stonewalled, blaming the “sensitive commercial nature of our budgets”, though it is unclear who the commercial competitors for Big Band Special. as MW carried coverage of the Horse of the Year Show. 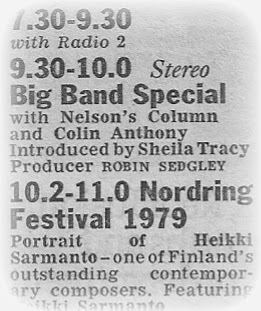 The programme had run for 34 years (see Radio Times billing) and offered a showcase for the BBC Big Band, then a section of the BBC Radio Orchestra. 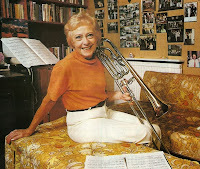 The first host was broadcaster and trombonist Sheila Tracy (pictured below), who remained with the show for 22 years. 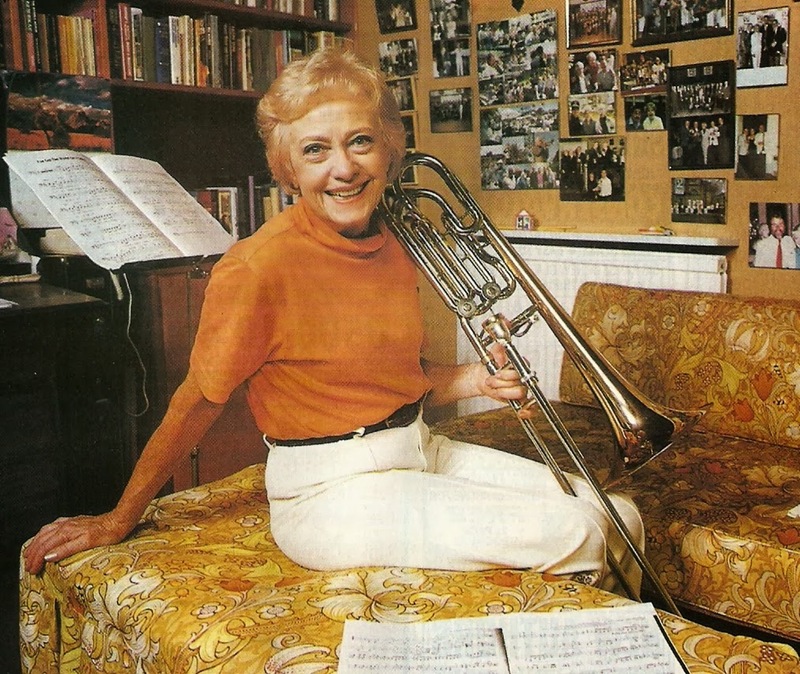 Here’s Sheila introducing the 500th edition recorded at the Golders Green Hippodrome and featuring regular conductor Barry Forgie. 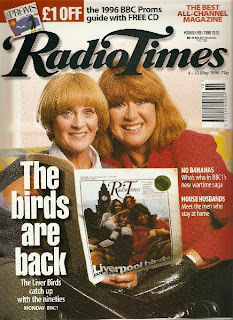 This show was broadcast on Monday 12 February 1990. 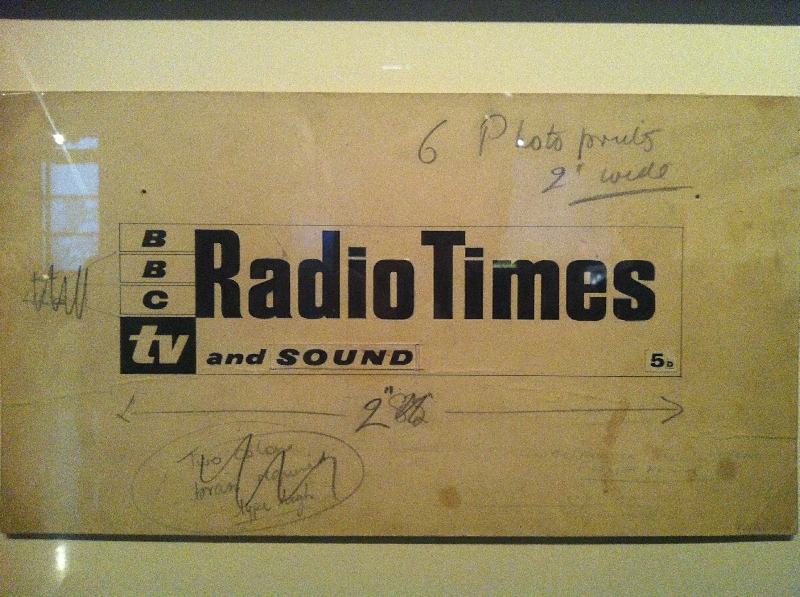 The opening continuity announcer is Alan Dedicoat, showing that some things never change! At the time of writing you can still hear this week’s final show online here. 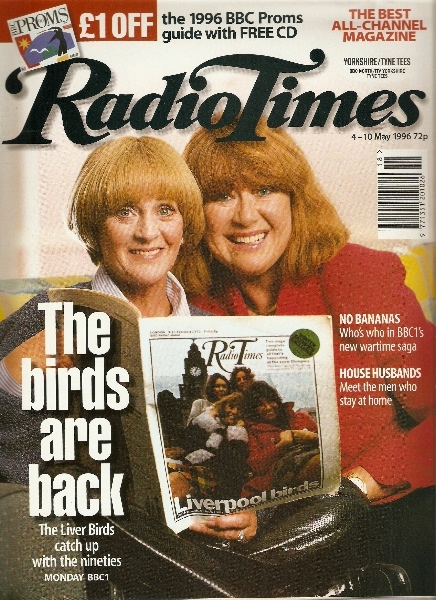 “We will now give you The Radio Times. The good new times. The Bradshaw of Broadcasting. May you never be late for your favourite wave-train. Speed 186,000 miles per second; five-hour non-stops. Family season ticket: First Class, 10s. per year”. 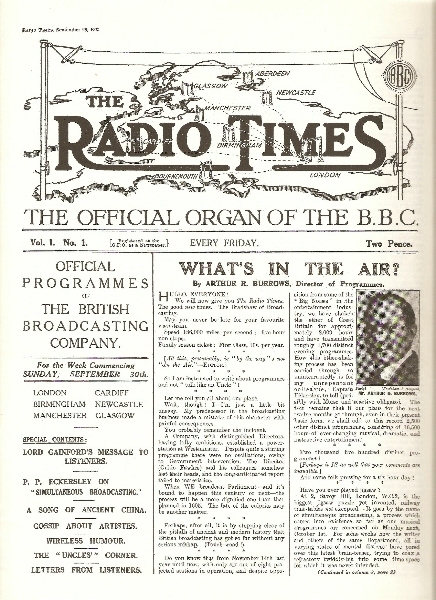 This somewhat forced analogy was the introduction to the first edition of The Radio Times (“The Official Organ of the BBC”) of 28 September 1923. Published “Every Friday”, price “Two Pence”. The words those of Director of Programmes at the British Broadcasting Company, Arthur Burrows. 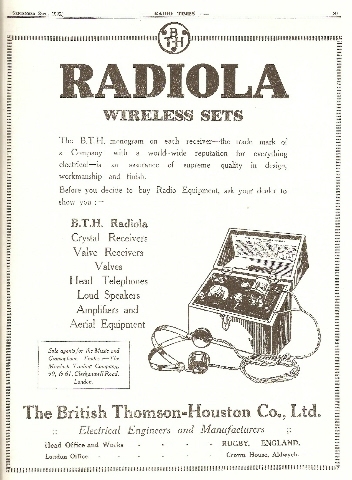 Volume 1 Number 1 was filled with articles and plenty of adverts for radio receivers, valves, batteries and headphones, all the paraphernalia required to listen to one of the regional services emanating from London, Birmingham, Manchester, Cardiff, Newcastle and Glasgow. 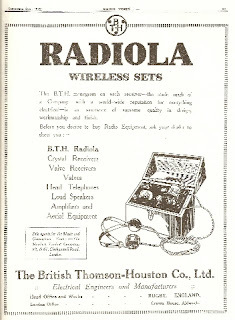 Listings for the “Wireless Programme” started with those for Sunday, an RT tradition that would endure for the next 40 years. In true Reithian style it was dour mix of organ recitals, the Band of His Majesty’s Royal Air Force and a religious address. The service from London had the longest broadcast hours with some morning programmes. For Monday 1 October you had the delights of a concert featuring tenor Wilfred Lynn between 11.30 a.m. and 12.30. 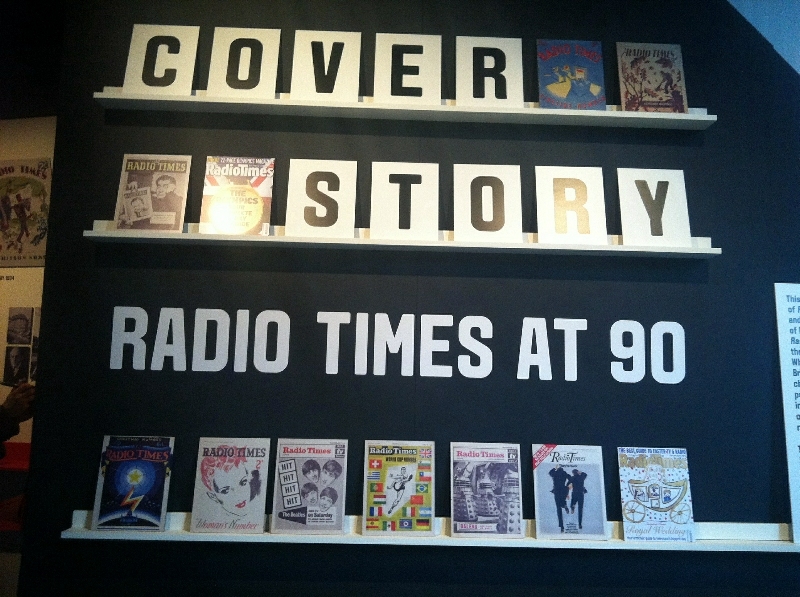 Back at 5.00 p.m. for Woman’s Hour – confusingly on air for just 30 minutes with “Society Gossip” and “Mrs C.S. Peel’s Kitchen Conversation”. Other regions offered something similar under the titles Ladies Corner, A Talk to Women or, from Manchester, Mainly Feminine. At 5.30 p.m. there were two Childern’s Stories with Helen Bannerman’s Little Black Sambo and part of Herbert Strang’s Jack Handy. 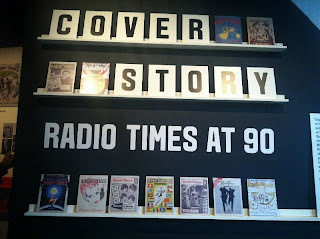 Together with a 15-minute Boy’s Brigade and Boy’s Life Brigade Bulletin these made up the famous Children’s Hour hosted by one of the radio Uncles or Aunts. After an interval programmes resumed at 7 p.m. with a news bulletin and Weekly Book Talk with Mr John Strachey. A Symphony Concert (Weber, Elgar, Saint-Saens and Dvorak) followed at 7.30 p.m. featuring an Augmented Orchestra under the baton of Mr Percy Pitt. Another talk, this time from Maj-Gen Sir William Sefton Brackner, was at 9.15 p.m. on the no doubt fascinating subject of “The Possibilities of Low-Powered Aeroplanes”. 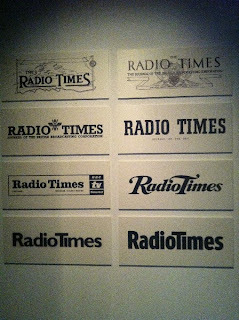 Finally there was another news bulletin and then violin music played by Miss Daisy Kennedy before it all closed down at 10.30 p.m.
One feature of the Radio Times that has remained constant is Letters to the Editor, or Letters From “Listeners” as the first edition had it. (Variously since then the section has been Points from the Post, You Write and these days Feedback). Frankly, it seems to me that the BBC are mainly catering for the “listeners” who own expensive sets and pretend to appreciate and understand only highbrow music and educational “sob stuff.” Surely, like a theatre manager, they must put up programmes which will appeal to the majority, and must remember that it is the latter who provide the main bulk of their income. 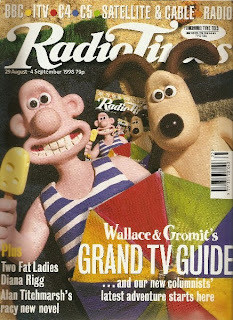 This and many other letters are plundered in this programme broadcast in 1997 to celebrate the BBC’s 75th anniversary. 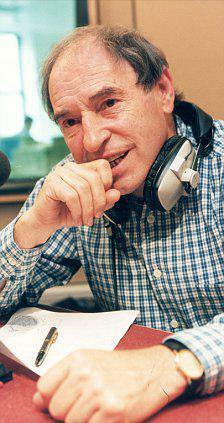 From the Editor’s Postbag is presented by Barry Took and was transmitted on Radio 2 on 23 November 1997. Guests are former Editor Russell Twisk, the then Editor Sue Robinson and Radio 4 announcer Peter Donaldson. 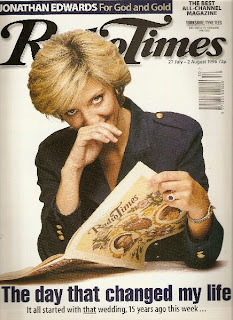 with Peter Brooks cover is from October 1976.
reading the 1981 Royal Wedding issue on this July 1996 cover. He changed the sound of popular music radio and inspired a generation of budding broadcasters. The official biography, Hello, Darlings!, is published today. He was Kenny Everett. 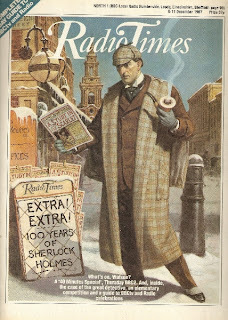 As well as the biography written by James Hogg and Robert Sellers (my copy is on order) this Saturday sees the unveiling of a blue plaque outside Kenny’s last home in Kensington. The event has been organised by the British Comedy Society and includes a number of star names and some rare film and audio clips (mixed together by Simon Hirst I believe) which hopefully will get a wider release. 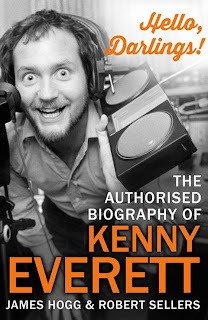 When Kenny moved from the pirate ships and finally joined Auntie Beeb he introduced Light Programme listeners to something they wouldn’t have been familiar with: jingles and clever trailers rather than straight laced continuity announcements. All done with just a bit of tape and a razor blade - no clever digital editing then. To show you what I mean here’s what seems like a fairly simple piece of audio that Kenny put together to promote the forthcoming Radio 247, obviously they hadn’t finally settled on the name Radio 1. It was only when I bought Nelson Riddle’s The Best of the Capital Years album that I realised how Kenny had done it. First we get his multi-tracked “247” jingle over a track called Then I’ll Be Happy. “There’ll be Light” leads into the intro to You’re An Old Smoothie. A quick burst of Sgt Pepper’s Lonely Hearts Club Band is followed by some baroque string quartet piece that I can’t identify (anyone?). Next we have The Campbell’s are Coming and then under the bit about how Radio 247 will work its back to The Beatles and Being for the Benefit of Mr Kite. “Music, music, music all day” is over the Irving Berlin composed tune Let Yourself Go and then a final cymbal crash. All that in just under a minute! 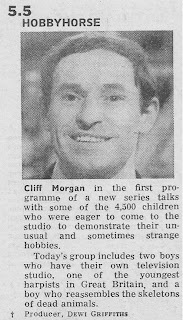 The transition from sportsman or sportswoman to broadcaster is increasingly common – Lineker, Barker, McEnroe, Edwards, Cram etc etc-but probably the first, and certainly the best, was Cliff Morgan. 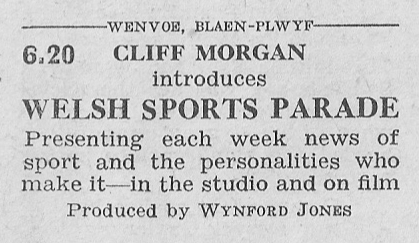 Cliff Morgan was born and brought up in Trebanog in the Rhondda Valley. Not untypically he attended chapel, sang in the choir and played rugby, though his first passion had been cricket and then football. A scholarship led him to the local grammar school where the wonderfully named games master Ned Gribble “did more than anyone else to shape my future in rugby”. With Grib’s encouragement he went on to join Cardiff where, in 1951, he achieved his first cap for his country when selected to play against Ireland at the Arms Park. “Morgan the Magnificent” would go on to captain his country and was by common consent “the best fly-half there can ever have been, thrusting, darting, always unexpected”. From an early age Cliff had an appreciation of voices and music that would infuse his later broadcasting. 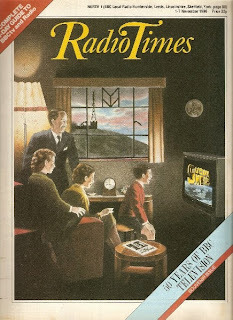 “Ever since I was a child, he wrote in his autobiography, “and heard the Light Programme and the Welsh Home Service brought home to us by the relay shed in the village, I have been fascinated by the wireless”. So it perhaps no surprise that he clearly recalled his first broadcast as a player when interviewed for Sports Report – years before coming a contributor to the programme. It all started for me at 5.35 p.m. on Saturday 8 March 1952 in Dublin. Wales had beaten Ireland to win the Triple Crown and the BBC commentator Sammy Walker … came to ask if I could spare the time to be interviewed by Eamonn Andrews. Little did he know I would have given my Welsh jersey to speak to Eamonn. That interview I remember clearly. Having asked me about the run of play and my opinion of the legendary Irishman Jackie Lyle, Eamonn asked what I would remember most about that afternoon. ‘My father losing his teeth’, I said, ‘and he wasn’t even playing!’ What actually happened was this. When Ken Jones ran 50 yards at Olympic speed to score a try, my father leapt to his feet and shouted with joy, but he spat his top set ten or 12 rows in front of him. He never got them back! 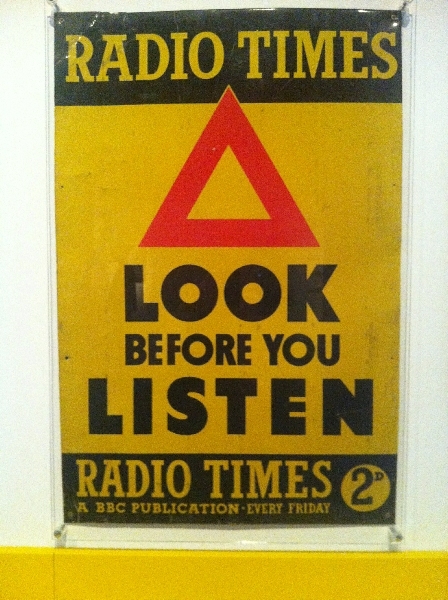 Occasional broadcasts followed such as a conversation piece with Welsh rugby commentator G.V. Wynne-Jones for Sports Parade in 1955. Later that day he recalled watching J.L. Manning and John Arlott in the Sports Report studio. “Playing rugby was one thing, but mixing with all these people you’d read or heard about or listened to on the wireless, that was thrilling in another way”. 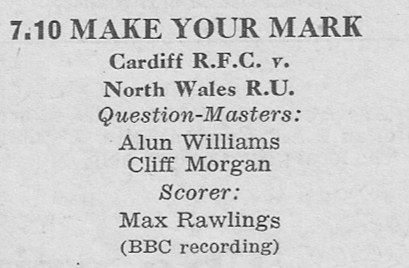 It was a chance meeting with BBC Wales boss Hywel Davies on the night of his last international, during a 1958 tour with the Barbarians, that led to Cliff’s pretty much immediate progression from rugby player to broadcaster. Davies’s offer was “ten weeks next Monday night, we’ll be doing the first sports programme on television from Wales. I want you to introduce it, and produce it. Can you do it?” Even though he’d seen very little television he accepted the deal and was soon the front man for Welsh Sports Parade. This opened up doors for Cliff who during his time in Cardiff also presented Songs of Praise when it rolled into town and a four-part series People Who Sing. He had his first regular radio work too with a Saturday night sports programme Going Round the World and, alongside the legendary Alun Williams (“it’s not Alan, it’s Alun; it rhymes with gin and sin”) the quiz Make Your Mark. One morning Hywel Davies sent for Cliff and offered him some career advice: “I want you to go to London, there’s a job going now on Grandstand. You must get that job, by any means you can, and work for Paul Fox for three years. Then you are to leave Sport and go and work for Grace Wyndham Goldie in Current Affairs for three years. Then, after sixish years in London, which will coincide with my being appointed Controller of BBC Wales, I want you to come back here as the Head of Programmes”. Well, he was nearly right! Cliff went to London in 1963 but not to work for Paul Fox but to replace him as editor of Grandstand. In fact Cliff had already done a single stint on Grandstand when, some time before, he’d been summoned to London to cover for an ailing Alan Weeks. It wasn’t long before he was also offered the editorship of the midweek Sportsview with the promise of an extra £2000 “which I never got”. 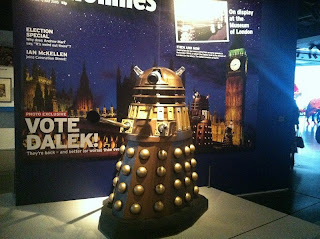 As for current affairs, well the job was not with the BBC but at Rediffusion as editor of This Week where he stayed for two and a half years. Meanwhile Hywel had died in 1966 at the tragically early age of 49 so he never did take up the promised management post in Wales. 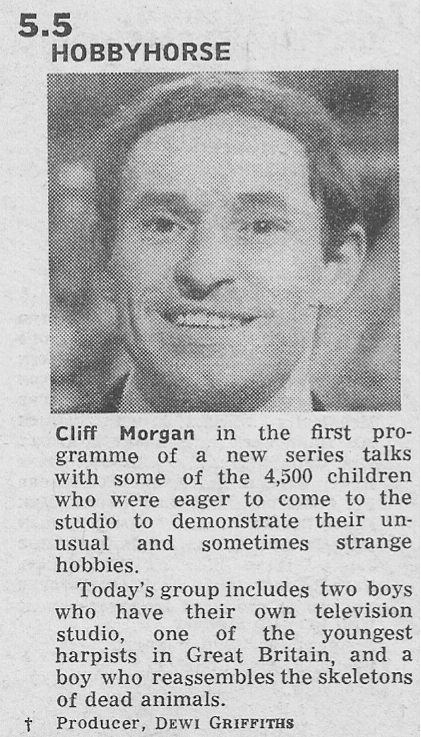 Instead Cliff was now back as a freelance hopping between television, radio and newspaper columns. On BBC2 he was the host and match commentator for Rugby Special between 1967 and 1973. Arguably Cliff’s greatest commentary was the Barbarians v New Zealand match in 1973 but here’s Cliff in 1971 talking about the Lions Tour of New Zealand. Other TV work included a Sunday teatime series Hobbyhorse (1968-70) in which children “came to the studio to demonstrate their unusual and sometime strange hobbies” and for Rediffusion the children’s show Come Here Often, co-presenting with Sarah Ward. And, of course, he was the opposing team captain to Our ‘Enry on the first few series of A Question of Sport back in the days when they really had questions about sport. On the radio Cliff was sometimes working for Today and was one of the hosts of BFBS’s London Sportsdesk. He was also playing ‘Morgan the DJ’ with a Saturday evening classical music selection of These You Have Loved on Radio 4 (and not Radio 2, does someone want to edit Wiki?) and on the rota of presenters of Radio 2’s After Seven. Unfortunately Cliff’s time on These You Have Loved was cut short by a stroke in early 1972 from which he temporarily lost his speech (Richard Baker took over and remained with the programme for many years) and he wasn’t back to full fitness until the end of the year. 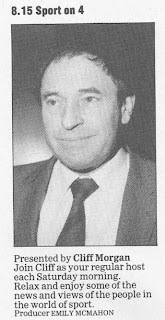 Early in 1973 Cliff got a call from Angus McKay, the man responsible for getting Sports Report off the ground and steering its first 20-odd years, offering him a staff job as radio’s Editor of Sport alongside Bob Burrows. He began to re-shape Sport on 2, getting it out of the studio and live from Wembley, Wimbledon or wherever. Within twelve months he was also head of radio Outside Broadcasts (taking over from Robert Hudson) which was a tremendous help in getting the two units to work together. 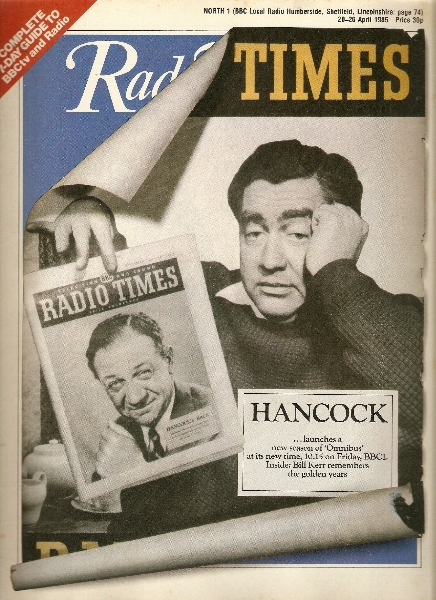 Cliff recalled that Sports News and OBs lived on opposite sides of the same corridor but “hadn’t talked for ten years”. 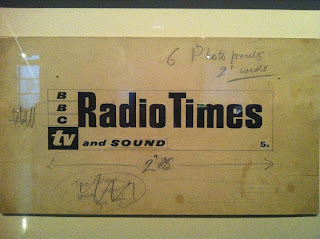 It was back to the telly in 1976 as Head of Outside Broadcasts, a position he held until 1987 and so covering a period of rapid technological change and increased coverage of major sporting occasions plus the occasional royal wedding. He didn’t desert radio completely though: he was back as DJ in 1978/9 on Radio Wales’s Sunday lunchtime Sounds Unforgettable. Sport on 4 remains fondly remembered. It had started in 1977 with former Test cricketer Tony Lewis. He left in early 1986 and, after a succession of broadcasters, Cliff stepped in from November. His passion for sport and his passion for words were evident. If Sport on 2 was the back pages, Sport on 4 was the comments column and the star interview. If was popular with sports fans and non-sports fan alike. 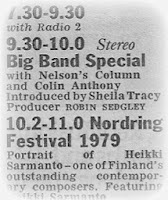 From 3 January 1987 here’s the part of the programme with Cliff interviewing cricket broadcaster and journalist E.W. Swanton. Onto 4 July 1987 with this almost complete recording that includes interviews with Billie Jean King, Ray Illingworth and Stan Smith. From the final programme on 4 April 1998 Cliff interviews BBC TV’s golf commentator Peter Alliss. A deluge of complaints came in when Cliff and the programme were dropped from the schedules in April 1998 as part of the incoming controller’s new broom – the time slot went to John Peel’s Home Truths. 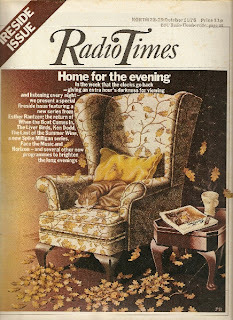 Radio Times reader Ann Williams wrote: “I have long enjoyed Sport on 4 despite not the slightest interest in sport. The superb interviewing set it apart; Cliff Morgan’s interviewees, whether hardened football managers or novice rowers and throwers, were as relaxed and natural as if they were talking privately to their best friend”. Following the axing RT columnist Roland White reflected that “Cliff Morgan’s public reaction to the news that Sport on 4 was being scrapped was that it was probably about time, all things considered. His judgement on his own performance was just as modest: he probably wasn’t as clever as some of the younger presenters, he said, but there was a place for somebody like him in the schedules. He was being too modest. If I were the smartest young smart aleck in sports broadcasting I would still envy Cliff Morgan. His distinctive voice gives him an advantage as a broadcaster”. Nine years ago Cliff moved to the Isle of Wight with his second wife. Latterly cancer of the vocal chords robbed him of that wonderful lilting voice. He died last Thursday. Cliff Morgan 1930-2013 What a score! Sport on 4 first aired on Saturday 30 April 1977 with Tony Lewis presenting. It was one of the programmes brought in to replace Saturday Briefing. When Tony left in 1986 there were a number of temporary hosts including Harry Carpenter, Tony Adamson and David Coleman. Cliff’s first show was on 22 November 1986 (again Wiki needs editing here). 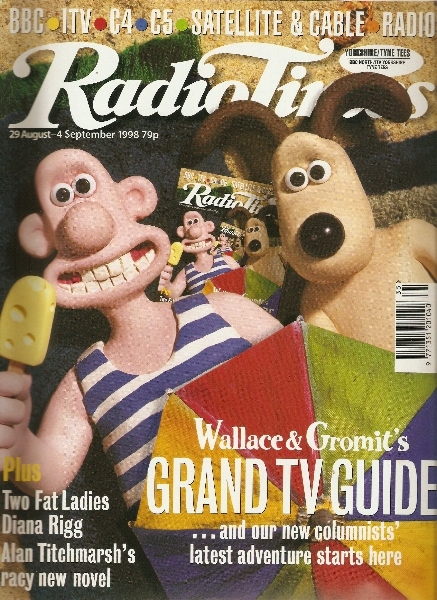 The final edition of the programme was on Saturday 4 April 1998. The replacement sports programme on the network was scheduled for late Friday night – Late Tackle with Martin Bashir, who is, of course, best remembered for a certain royal interview.